But is it really worth it? 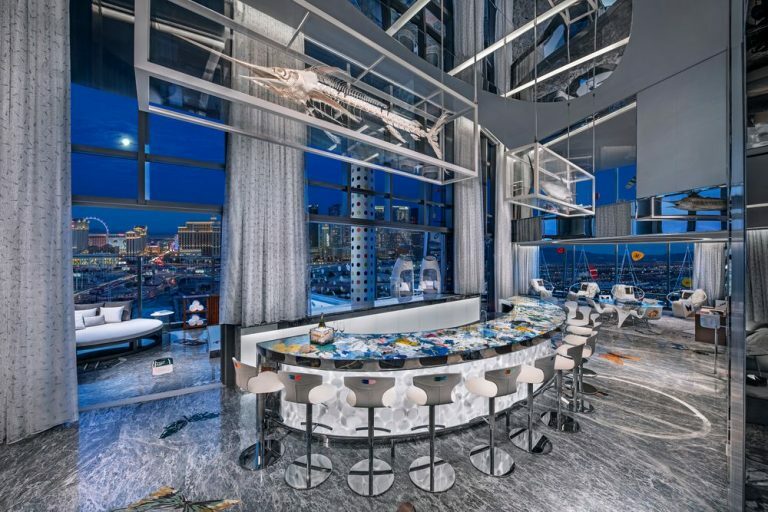 The saying goes: ‘Money doesn’t buy taste’ – and we can’t help but wonder if this extravagant Las Vegas sky suite brings truth to that old adage. 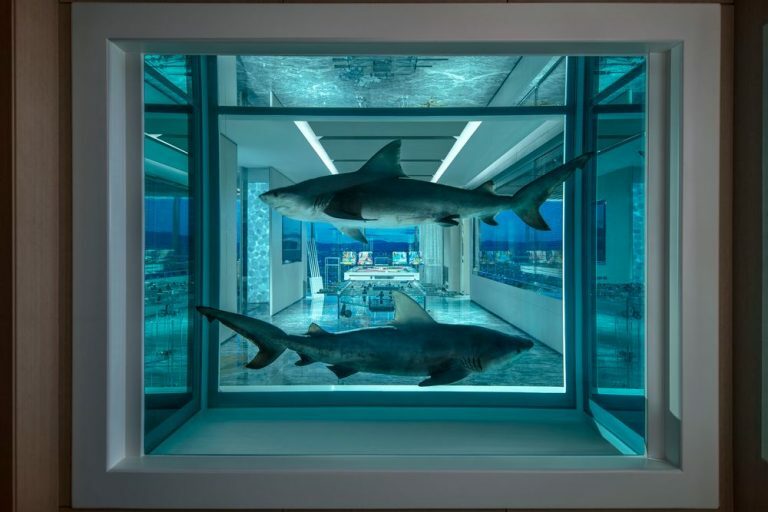 Sharks suspended in formaldehyde, giant cartoon pharmaceuticals plastered all around, and a marlin skeleton hanging above a huge bar – there’s no ignoring the opulent extras that lie within this US$100,000-a-night suite. 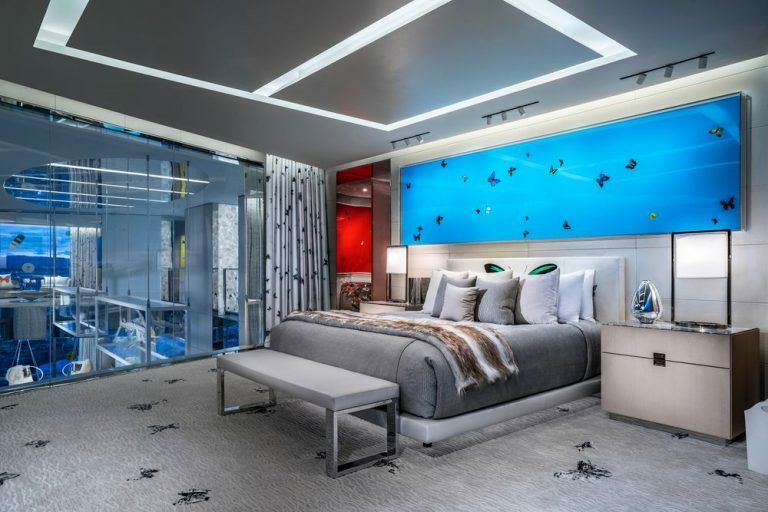 It’s described as the ultimate bachelor pad – and is no doubt used as a backdrop for parties of this nature – but we find ourselves asking whether or not we’re actually into the Empathy Suite at the Palms Casino Resort. It does seem odd to us in a time when almost no interior designer would accessorise with real fur, that this hotel would proudly ‘decorate’ with two dead sharks and a taxidermy fish and slap a $200,000 price tag on the experience (since guests are required to stay a minimum of two nights). Don’t get us wrong, there are details we adore. 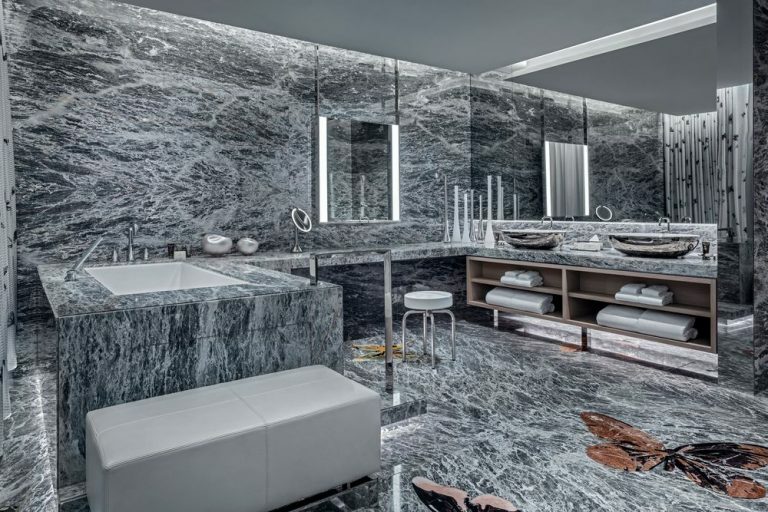 There’s the all-marble-everything bathroom with a giant tub, the gigantic rooftop pool and the beautiful butterfly motif that creates a sense of whimsy. 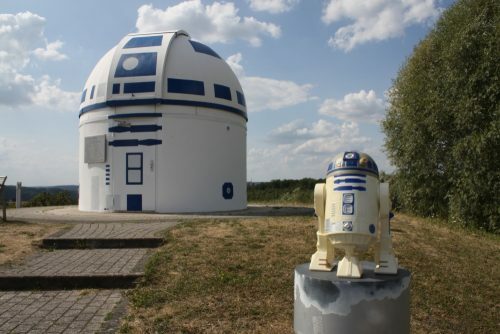 It’s just that, for such an eye-watering amount, we’d expect to be a bit more taken with the place. 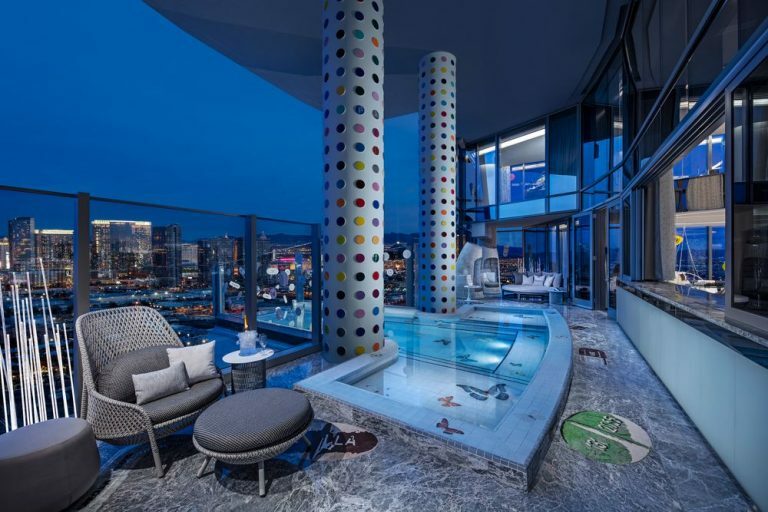 The new Empathy Suite, designed by English artist Damien Hirst in collaboration with architecture firm Bentel & Bentel, was part of a $US690 million revamp of the Palms Casino Resort in Las Vegas. Traversing two stories, the 835sqm suite boasts two bedrooms and two-and-a-half bathrooms, as well as numerous lounging areas with capacity for over 50 people. 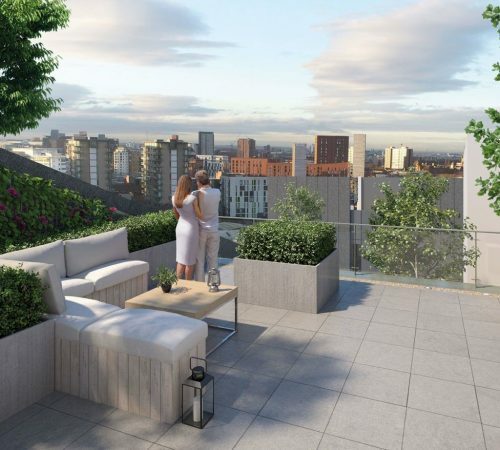 There’s also a 17-seat bar, dedicated massage rooms, a salt relaxation room, a gym, powder room and a huge outdoor pool with a view of the Vegas strip. But there’s more. 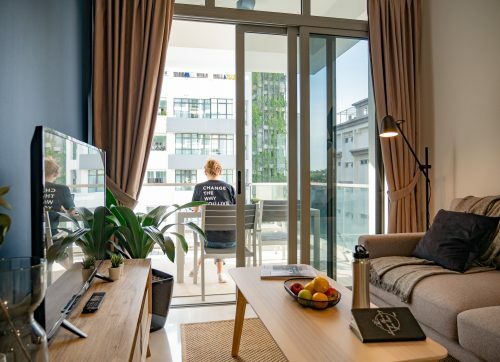 The suite also comes with 24-hour butler service, a chauffeured luxury car service, and a whopping $US10,000 credit to use at the hotel or casino. Quite obviously, the suite is designed to showcase some of Hirst’s unique pieces, and the interiors often act as a backdrop to such works. 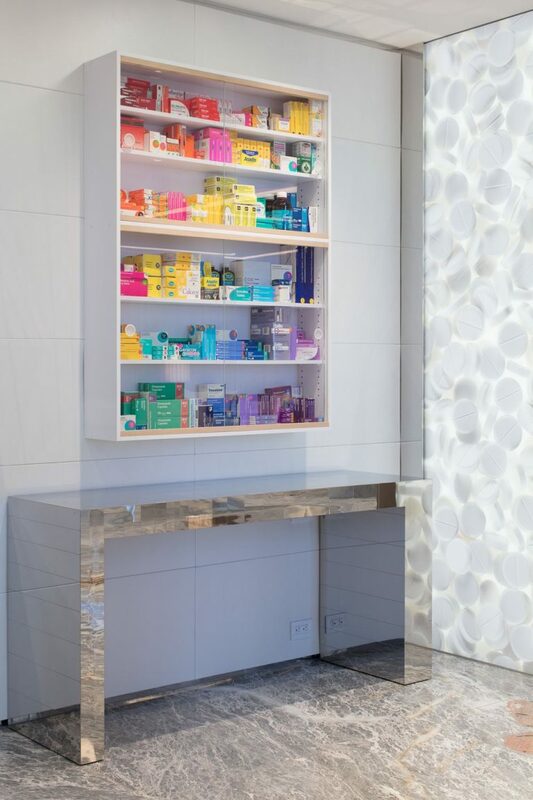 Some memorable installations include a clear cabinet that’s filled with pharmaceutical packets (it’s called Monet!) and a diamond-filled pill cabinet in the games room. The artist’s signature butterflies are scattered throughout the entire place, too. There are 104 stone butterflies and 17 pills and capsules on the marble floors alone. 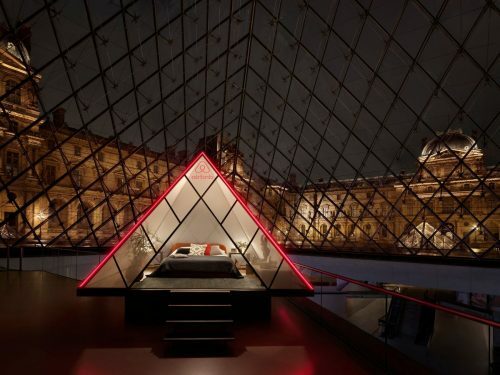 Originally published as Vegas suite is world’s most expensive at $US100,000 by Katie Skelly. Author at realestate.com.au.